The Changing Shape of Bad Faith under the Restatement: What Are the Consequences When an Insurer Breaches Its Duty to Settle or Defend? In high-stakes coverage litigation, policyholders increasingly assert claims of bad faith and extra-contractual liability against their insurers. The attorneys in the Bad Faith and Extra-Contractual Liability Group have years of experience in defending insurance carriers against these allegations. Our understanding of the insurance industry and extensive trial skills have enabled us to successfully counsel our clients to avoid bad faith claims in the first place or to take a matter to trial if those claims cannot be otherwise resolved. When punitive and bad faith damages are on the line, it is critical to have attorneys who understand your business and have the skill set necessary to focus discovery and aggressively litigate a matter to conclusion, if necessary. We have an active bad faith and extra-contractual practice that involves counseling, and litigating on behalf of, insurers around the country. Our experience in bad faith and extra-contractual matters is extensive and diverse. We cost effectively handle extra-contractual disputes involving general liability, life, health and disability, business auto, property, liquor liability, construction, directors & officers, professional liability including architect and engineers, municipal liability and school errors & omissions. Our practice includes litigation in state and federal trial and appellate courts, as well as extensive experience in mediation and other types of ADR. Our experienced lawyers provide significant bad faith avoidance counseling at the claim level for over 40 insurance company clients. We regularly speak on punitive damages, bad faith and bad faith avoidance before industry and professional groups including FDCC, Coverage College, ABA , Tort Trial and Insurance Section, CLM, The Institutes, ACI, CPCU and client-requested seminars. We also hold a Board of Regents seat at the American College of Coverage and Extra-Contractual Counsel. Since 2015, White and Williams has been recognized by Chambers USA as a leading law firm in Pennsylvania for achievements and client service in the area of insurance law. The firm is recognized for offering advice to insurers and reinsurers across a range of areas, including coverage, bad faith and excess liability. The firm is also recognized for its adroit handling of complex alternative dispute resolution cases, with clients saying "they have very formidable folk" and "provide great value." 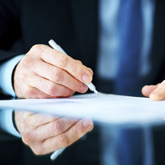 Navigating the "Tort Problem" in Contractual Liability Exclusions: A Matter of Timing?